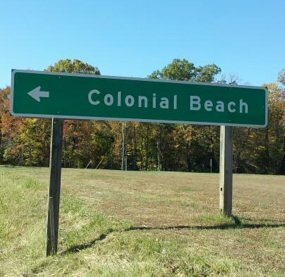 "So, What are Your Favorite of All the Colonial Beach Virginia Attractions?" 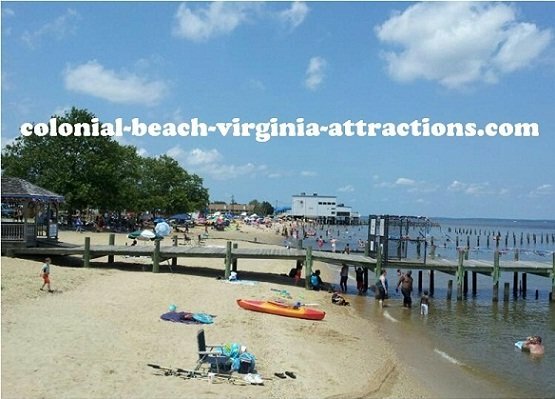 Colonial Beach Virginia attractions. What's my favorite? It's hard to say, since there are so many to choose from! I found that out after visiting for the first time over ten years ago. I saw the signs pointing towards the town every time I traveled along Route 301 on my way to and from Maryland. One day I decided to follow the signs. I'm so glad I did! 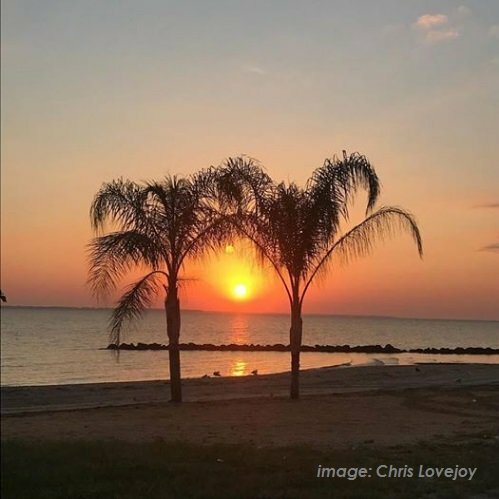 This quaint riverside resort town has the second-longest public beach in Virginia and is nestled on the Potomac River in the Northern Neck region, with all it's history, rich heritage and unspoiled beauty. Catch a glimpse of the symbol of our nation, the mighty bald eagle as they soar overhead and nest here. This area is great for bird watching. Visit the birthplaces of U.S. Presidents George Washington and James Monroe. Watch the racing action at Colonial Beach Dragway. Lounge on the beach, fish from the Pier, paddle a kayak or search for ancient fossilized sharks teeth! Surrounded by water on three sides and having a variety of marinas, this place is a boater's paradise. There's a public boat ramp in town. No boat? No problem! 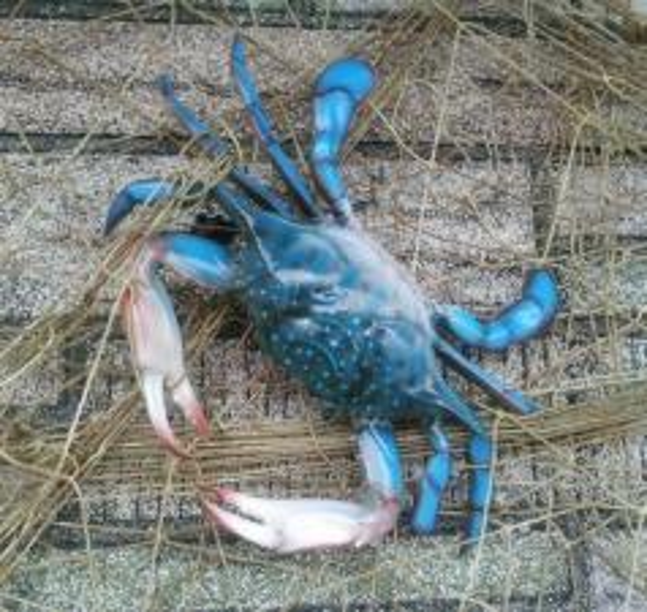 Try charter fishing or a dinner cruise. Landlubbers can opt for rented bicycles, golf carts or town trolley service to get around. There are over 25 different restaurants serving everything your taste buds could want. Of course we have great seafood, and there's everything from tapas to ice cream to Thai and French food - and everything in between! You won't go hungry in Colonial Beach. Numerous shops line the Boardwalk and the streets in town. You're sure to find just what you're looking for. Author Sloan Wilson (The Man in the Gray Flannel Suit) and best-selling romance novelist Sherryl Woods have called Colonial Beach their home. Inventor of the telephone Alexander Graham Bell spent his summers here and you can stay in the house he owned, which is a Virginia Bed and Breakfast Inn. There are half a dozen in town to choose from, and there are other types of lodging as well including motels, rental cottages, cabins and campgrounds. With a year-round events calendar chock full of fun things to do and see, add our town to your Virginia vacations list. Bring the friends and family - there's something for everyone of all ages! Get updates via SMS. Receive Tweets on your cellphone! Just text "follow ColBchVAttracts" to 40404 (United States. For other countries, get the code at twitter.com) Whether it be a weekend, a summer, or a lifetime, come and spend it in beautiful Colonial Beach, Virginia! Extended Weather Forecast - with weather webcam! 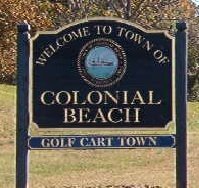 The Town of Colonial Beach Welcomes You!